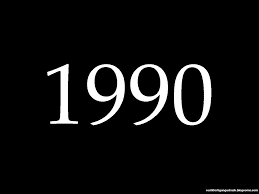 If you talk to horror fans most will say for the most part the 90's were not very kind of the horror genre. I disagree. It was not a boom like the 1980's but still there are some real gems in this decade. There are a few years where it is hard to find a handful of good horror films but it started out strong and finished strong. Here we are entering the best horror films of 1990. 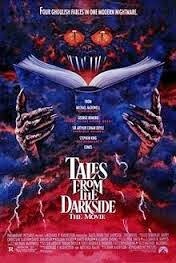 I am a total sucker for good anthology horror. I loved the TV show and the movie is no different. 3 great stories with a nice wraparound as well. The first one being the best, Lot 249, starring young stars Christian Slater, Julianne Moore and Steve Buscemi. This one made this list because I love a slashers and this movie is just fun. It's not a great movie by any stretch of the imagination but it is entertaining. Did I mention the half naked women running around the entire movie? That should account for something! This really is one of my guilty pleasures. I love the whole franchise of the Prom Night films but this one really stands out for me. A very tongue in cheek, cheesy slasher film that is meant not to be taken seriously and you have to love that. The cast in this film isn't awesome but the performance of Cynthia Preston does make it better. See my past interview with her from last year if you are a fan of this film. The First Power is one of those movies I consider to be very underrated. It had its big star in it Lou Diamond Phillips but the main reason I enjoy this film is for Jeff Kober and his excellent performance portraying a serial killer in this film. This one was just released on Blu Ray too if anyone was interested in giving it a try. My favorite movie of the franchise and my favorite of 1990. 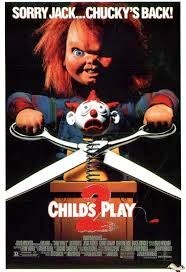 Childs Play 2 in my opinion was better than the first and was a great followup. This is one of the few franchises that started in the 80's and really put out some good films in the 90's. Brilliant list, but where is the Sixth Sense! ?